Pakistan Steel Mills (PSM) has become Pakistan's first Govt institution after PIA to file continuously for losses. So far, it has reached to a record $5 billion debt as losses over the last 3 years have doubled. Moonis Elahi, a young Pakistani parliamentarian, has denounced incumbent government's decision, and termed it a strategy to create opportunities to plunder Pakistan. The country's largest industrial complex would be leased to a private firm which succeeds in presenting the highest revenue sharing proposal. It has been revealed that almost 5000 employees would be laid off. A transaction committee on Monday discussed the various options and the lease term would be finalized on Tuesday 17th January 2017. The present state of PSM is due to over hiring, unchecked corruption, inefficiency and the Govt's non serious attitude towards it said Moonis Elahi. The PSM’s accumulated losses and liabilities, which stood at Rs26bn at the end of 2008, have increased to around Rs415bn, including Rs166bn payable liabilities. The government has injected over Rs85bn out of the federal budget for various bailout packages since then. Since the PMLN's government, PSM's losses have doubled and the talks to lease or sell it had started surfacing quite early. It has been decided that the land would remain Govt property whle the building and machinery will be given on lease. A DSNG van owned by Samaa, a private news channel was attacked by unknown armed men in the North Nazimabad Area Karachi. While the rest of the crew survived the ambush, the assistant cameraman received a bullet to the head. He was rushed to a nearby hospital where he succumbed to the injury. Moonis Elahi was the first to denounce the cowardly attack by terrorists on the media van. He further said incumbent government has failed to provide protection to the citizens of Karachi and crime in the metropolis is increasing rapidly. The reason of attack is still unknown and no group has yet claimed responsibility. The incident happened when a police van came under a cracker attack. No police officials were hurt during the cracker attack. SSP Central Muqaddas Haider said the same suspects might be involved in both the incidents and added the cracker attack on the police vehicle did not cause any damage. It is speculated that the main target of the assailants was the media team rather than the police. The cracker was used as a bait to lure in a media team and when Samaa was the first to reach the spot, it was targeted. Moonis Elahi has insisted that the real culprits be caught and the real story behind the attack be brought to light. Additional Police Surgeon Dr Rohina Hasan confirmed the victim arrived with a bullet wound to the head and died while under treatment. The young man had received a fatal wound to the head and couldn't survive. She further added that no post mortem had yet been conducted. Moonis Elahi expressed his condolences and prayed for the departed soul. A police team is investigating the case and IG Police Sindh, A D Khowaja has taken a "strong notice" of the attack. 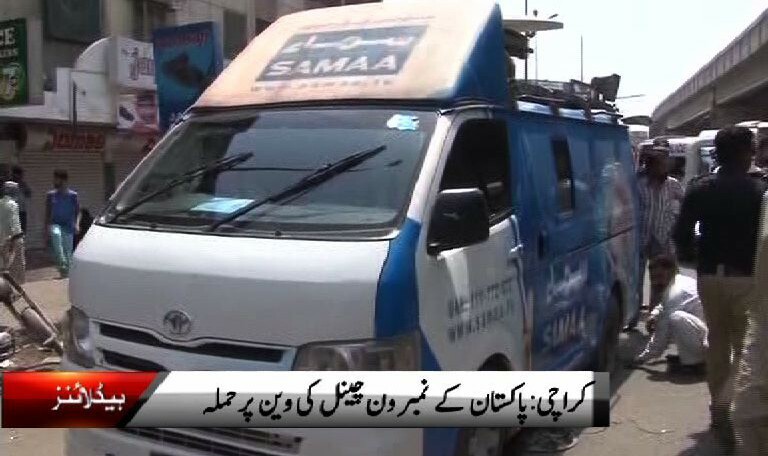 Attacks on media teams is not new in Karachi as earlier in September 2015 another Samaa DSNG van was attacked. ARY news head office also came under attack in Karachi earlier when MQM supremo Altaf Hussain urged his workers to attack the media during their sit-in in Karachi. Moonis Elahi urged the Sindh government to ensure safety of the media personnel working in Karachi. He said the media works selflessly to keep the nation alert of all the happenings in the country. If they are repeatedly attacked it would become difficult for them to work in Karachi. The city has a dark history of housing terrorists while the police seems helpless. It is time this menace be wiped out from the metropolis completely. Pakistan has never been the best buddy of its neighbor India and most of the time the two can be seen fighting over issues in the international forums like the UN. 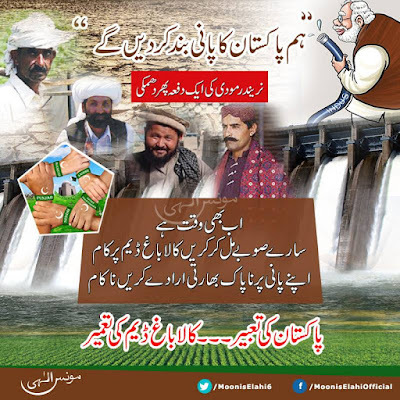 Presently, India has found it amusing to dry out Pakistan by building dams on the Chenab river while Pakistani ruling party PMLN has been busy in devising strategies to make more money and send it to their children abroad. When Modi announced his decision to revoke the Indus Water Treaty (IWT) Pakistan rushed to the World Bank to refrain India from going ahead with it. Moonis Elahi, the young PMLQ politician had stated before that PMLN must take necessary actions to hit the nail in time and India would be stopped for good. But, since it is PMLN's policy to leave every matter unattended no matter how important it may be, the dispute over IWT in WB wasn't followed up aggressively. Pakistan's lack of interest over the issue has already provided India the leverage it seeks and delaying a conclusion would certainly not be in the favor of Pakistan. Moonis Elahi has urged the government time and again to initiate building the Kalabagh Dam which is a permanent solution to India's threat. As the dam would not be filled with Indian waters, it can be a ticket to prosperity, an investment which would prove to be fruitful long term. While some prominent Pakistani politicians have taken up their agenda fueled by enemy funding, to criticize KBD without a reason, it has become a highly controversial issue. Moonis Elahi has reminded the incumbent government numerous times that if they please to really sort out the matter, it can be done very quickly. The solution lies in an All Party Conference gathered to debate only on the issue of Kalabagh Dam. Every party would be given a chance to represent it's province and either defend the dam or argue on it. A unanimous vote must be cast and all fears of the opposing parties must be cleared so that KBD may become a reality. 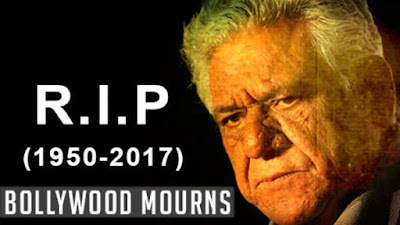 Om Puri, a veteran Bollywood actor passed away on 6th January 2017 after a massive heart attack which proved to be fatal for the 66 years old. His close friend and film maker Ashoke Pandit was the first to announce the sad news on Twitter. The new year 2017 proved to be a woeful start for the family and actors from both sides of the border mourned the great loss. The social media site Twitter was flooded with his admirers both Indians and Pakistani expressing grief over the news of the demise of the legendary actor. He was a versatile actor who had played many roles during his career and became liked by everyone who watched his movies. According to Times of India, Om Puri has returned yesterday from a film shooting and in the morning, when he didn't answer the door bell, the driver became curious and raised the alarm. Puri's body was taken to Cooper Hospital where he was announced dead and a postmortem revealed the cause of his untimely death. According to his friends, his funeral will be held at 6 PM. His versatility knew no boundaries and he had worked with many Pakistani actors and actresses. The Actor In Law co-star Fahad Mustafa said — remembered him for his work and "humble and loving nature", it was a Pakistani film and OM Puri was a catalyst for its success. Others within the industry also poured in their love for the veteran saying he was a role model for spreading love and peace between the two countries. Aside from his Bollywood activities, he is also known to have raised his voice against the ongoing brutalities in Kashmir at the hands of Indian Army. 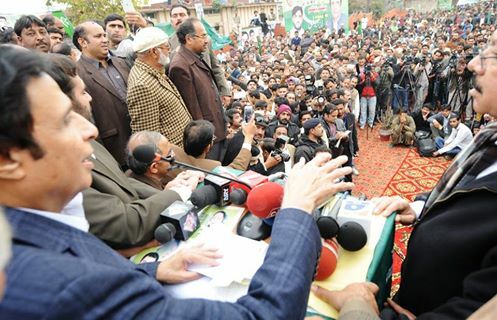 His statement in the favor of innocent Kashmiris and contradicting state policies left him in hot waters. It wasn't taken lightly and people from all walks of life started condemning him saying he had spoken ill against the Indian army. His brave move to speak up the truth landed him in a miserable condition. Moonis Elahi had appreciated his remarks and had said he had spoken for the unheard voices. He said the actor gave their media a frenzy and the Hindu extremists had a hay day over it. Nevertheless, a single person cannot fight against his nation and he had to apologize for it. The demise of the actor has caused grief on both sides of the border and people are paying tribute to the legend who not only did well in the movies, but also tried to be helpful to the helpless Kashmiris. After issuing hunting licenses to the Qatari Royal family, the federal government of Pakistan has issued seven more licenses to Bahrain's Royal family. The hunting of the endangered Houbara Bustard is not only illegal but is condemn-able said Moonis Elahi. Pakistan must play its part to protect the bird from being extinct but instead of being a savior, PMLN government is granting legal hunting to its foreign friends for their special services to the Sharif family. The issue of hunting Houbara birds in the country has become a hot potato but the Govt seems to have found it a way to reward the Arabs for their hospitality to the Sharif family. Moonis Elahi said PMLN does not have any foreign policy and this is the reason why we have this issue being debated in the country. It is widely known that Nawaz Sharif considers himself above the law and there is no stopping to what he wishes. The Qatar's Royal family were given the license as a thank you gift for their letter to the apex court regarding the PanamaGate issue against the Sharif family. 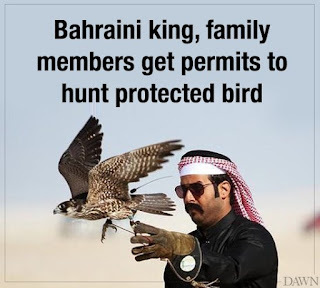 It seems there would be more letters coming from Bahrain as they too have been awarded licenses to kill the poor birds just to save the Sharif's skin. WASHINGTON: The US administration has initiated the process for peacefully resolving the current water dispute between India and Pakistan without waiting for an invitation to do so, official sources told Dawn. The latest dispute concerns two hydroelectric power plants — Kishanganga and Ratle — that India is building on the Indus rivers system. Pakistan believes that the projects violate the design parameters of the Indus Waters Treaty (IWT), which provides specific criteria for such plants. Earlier this week, US Secretary of State John Kerry called Finance Minister Ishaq Dar and discussed with him different options for an amicable settlement of the dispute. After the call, US Ambassador to Pakistan David Hale also met Mr Dar in Islamabad at the finance ministry for further talks. The initiative stems from the fear the US administration shares with the World Bank that the dispute, if dragged, may harm the treaty that has effectively resolved water disputes between India and Pakistan for more than half a century. The IWT is a water-distribution agreement between India and Pakistan, brokered by the World Bank and signed in Karachi on Sept 19, 1960. It recognises the bank as the main arbitrator and suggests appointing neutral experts and a court of arbitration for resolving disputes. Pakistan has asked the World Bank to appoint chairman of the court of arbitration while India has demanded appointment of a neutral expert. World Bank President Jim Yong Kim wrote to the finance ministers of India and Pakistan, informing them that he has ‘paused’ the requested arbitration and asked them to decide by the end of January how they wanted to settle the dispute. On Dec 23, Finance Minister Dar told the bank that Pakistan was not withdrawing its request and since the process had already been “inordinately delayed,” the bank should appoint chairman of the court of arbitration as soon as possible. Two days later, Dr Kim called Mr Dar for further talks, followed by Secretary Kerry who called the finance minister during the Christmas holidays. It is unusual for a US official to do so, particularly because the Obama administration completes its final tenure on Jan 20. Usually, the outgoing administration leaves such issues for the incoming administration to tackle. “But seriousness of this dispute, particularly the fear that it may harm the treaty, forced Mr. Kerry to make this call,” an official source told Dawn. Diplomatic observers in Washington say that since the United States has facilitated the Indus Waters Treaty, it feels obliged to take a proactive role in this matter. The treaty requires appointment of chairman of the court of arbitration and its three members within 60 days after a disputing party asks for arbitration. If the two countries fail to appoint umpires, the two parties prepare a draw of lots and request a “person” mentioned in the treaty to select the umpire. While the chairman can be selected by either the secretary general of the United Nations or president of the World Bank, technical members can be selected from a draw of lots by president of the Massachusetts Institute of Technology or rector of the Imperial College of Science and Technology, London. The legal umpire can be selected from a draw of lots by either chief justice of the United States or lord chief justice of England. Pakistan took its case to the World Bank in Sept 2016, urging the bank to prevent India from making illegal constructions on Neelum and Chenab rivers. 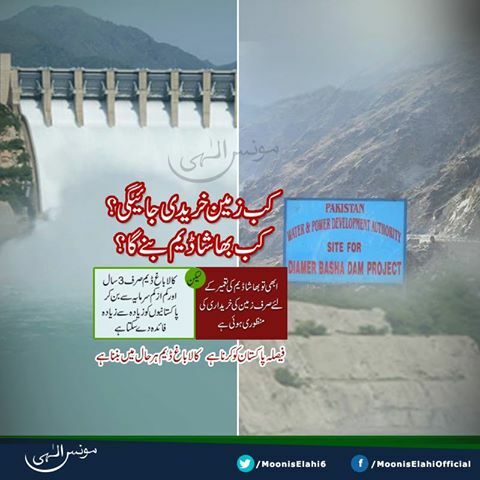 The differences on the designs of the two plants were discussed but could not be resolved in the 108th, 109th, 110th, 111th and 112th meetings of the Permanent Commission for Indus Waters, comprising one commissioner from each country, which is responsible for the implementation of the treaty. Secretary-level talks followed but they also failed. On Aug 19, Pakistan formally requested the government of India to refer the dispute to the court of arbitration, as provided in Article IX of the treaty. The Indian media reported in September that New Delhi had decided to suspend water talks until “Pakistan-sponsored terror” in India ends. And last month, Indian Prime Minister Narendra Modi also threatened to choke the flow of water into Pakistan if it does not stop terrorists. This caused Islamabad to fear that India was determined to complete the two plants and was buying time to do so by dragging the talks. Pakistan wants a court of arbitration, instead of a neutral expert, because only the court can take a decision that’s legally binding. An expert can only give a technical opinion, giving India more time to complete the projects. When Junaid Jamshed passed away on December 7, he left behind an extensive legacy: a wealth of music, an exhaustive and controversial history as an evangelist and a divided set of fans. Some have been reminiscing about his music, others recalling his sermons and amidst all these conflicting eulogies, there are the aficionados who frequent his J. stores. By no length of the imagination can the J. – Junaid Jamshed – entourage of outlets be considered the savviest contenders in the local high-street. Although the brand has a hold over good quality fabric it has lately showed a predilection for a mish-mash of multi-colors that isn’t always aesthetically pleasing. And yet, there’s no denying J.’s growing strength. 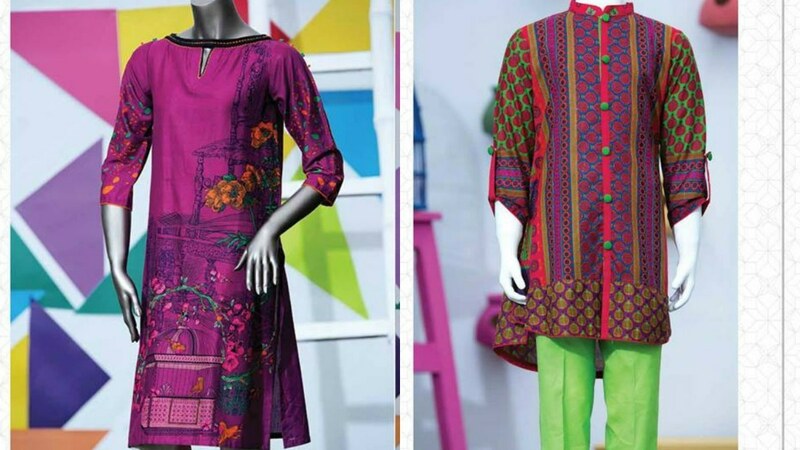 The brand, at present, has a whopping 100 stores, stocking unstitched women’s fabric, prêt for men, women and children, perfumes and a recently launched makeup range. According to the official website, 57 of these stores are scattered about the country while the rest are international standpoints, dotted about the U.S.A., the Middle East and even ‘down under’ in Melbourne, Australia. In the clustered PR wars that perpetually rage through the high street, one often takes note of a Khaadi or a Sapphire spreading its wings, but in the meantime, J. has been expanding quietly and much more impressively than its competitors. “Most other brands have franchises abroad,” points out J.’s CEO Sohail Hamid, “while we own all our stores.” That’s quite an achievement – one lauds local retailers for expanding but most of them merely strike deal with international franchisees. The fact that the brand owns all its stores is indicative of its retail strength. It’s also indicative of how a lot of people love multi-colours. There’s also no denying that a considerable segment of the label’s fan following are enamored by the late Mr Jamshed’s persona. 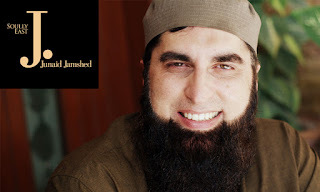 He may have had switched focus from a musical career to a religious one but Junaid Jamshed continued to remain in the spotlight. Amongst the usual milieu that frequents the high-street, one especially observes a strong religious contingent at the J. stores: women with veils and hijabs, bearded men, the avid audience of Junaid’s sermons who extend their love by buying from the man’s eponymously named store. The brand itself has often made allusions towards religion. While all and sundry chose top models for their lawn shoots, J. billboards have been known to feature brilliantly coloured kites in lawn prints and more recently, the unfathomable images of cars festooned with lawn designs. This was also the brand that initiated the use of beheaded models on their billboards – since images of faces are ‘unreligious’ – eliciting wisecracks but also starting off a trend that was later followed by other brands like Tarzz. But what will become of the burgeoning J. empire now that the brand’s representative and shareholder Junaid Jamshed has passed away? “Over the past few years, Junaid Bhai wasn’t very involved in the day to day running of the business,” tells Hamid, who was Junaid’s partner in the business. “He was busy with his religious work that would involve a great deal of traveling. Nevertheless, he was a director and a shareholder and we were using his name for which he would be given a royalty." 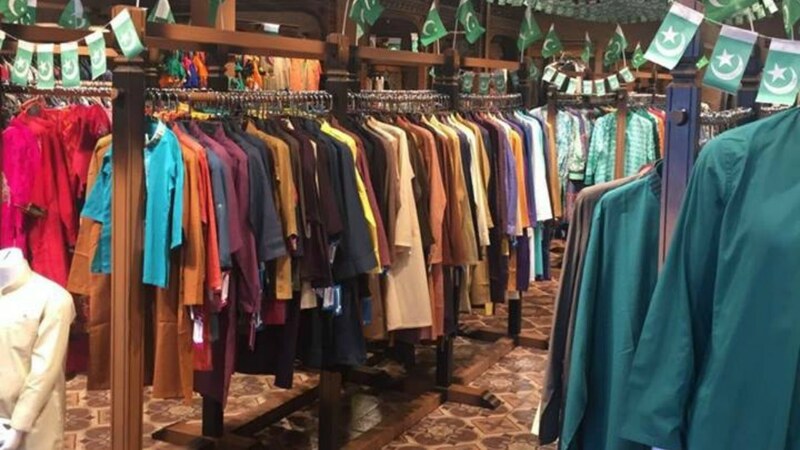 Following Junaid Jamshed’s death, the brand observed a three-day mourning period during which the stores remained closed. They are now up and running again. “We will persist with staying true to the values that have always defined our brand,” promised Hamid. 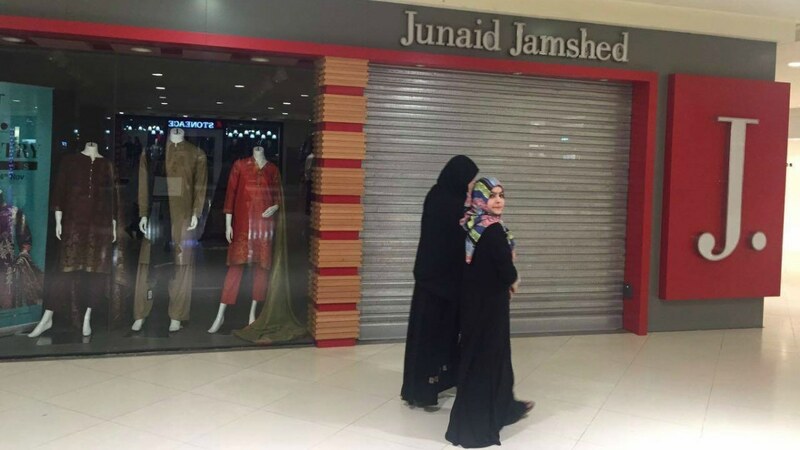 Overshadowed by Junaid Jamshed’s persona, the J. stores are a retail success story that have often been overlooked. Or perhaps it’s just the blinding effusion of multi-colours that they tend to use. 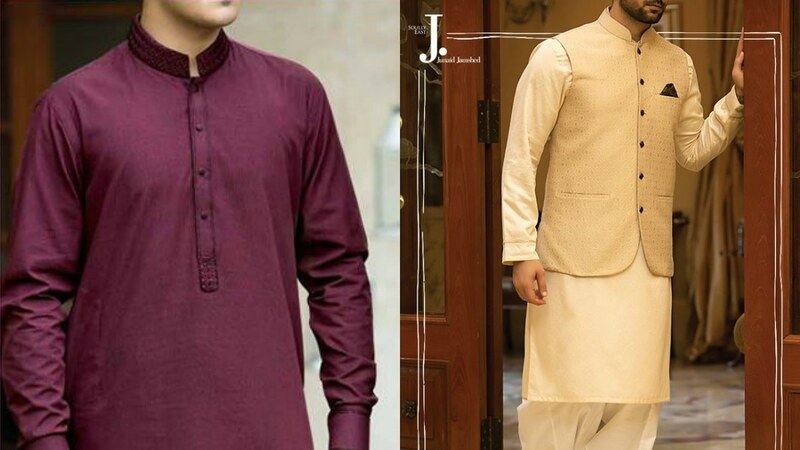 Without Junaid Jamshed’s celebrity status to propel it forward, perhaps J. should now endeavor to hold on to its considerable market by focusing on better fashion; stronger aesthetics and more coherent colour schemes. In our fluctuating economy, we can only boast a few bona fide success stories. J.’s story is inspirational and reflective of Pakistan’s growing predilection for the high-street – one would want to see it continue to grow and become more aesthetically sound. The invitation was extended on the New Year eve when General Bajwa reached the Afghan leaders over telephone. 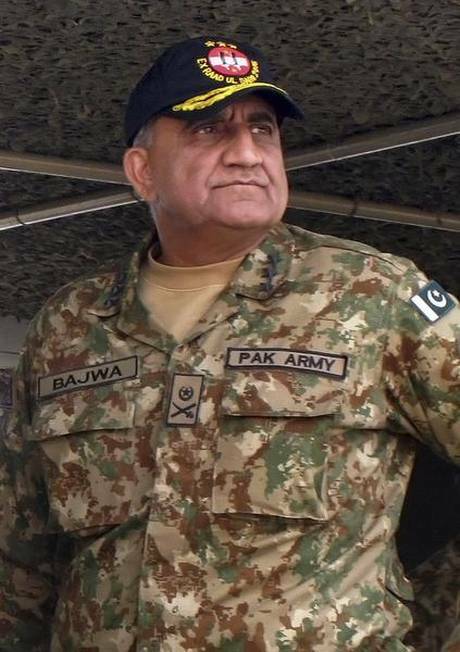 Pakistan’s new army chief General Qamar Javed Bajwa has been invited by Afghan leaders to visit the war-torn country and work together for regional peace. The invitation was extended on the New Year eve when General Bajwa reached the Afghan leaders over telephone, Pakistan Army said yesterday. Army spokesman Major General Asif Ghafoor said in a tweet that General Bajwa called Afghan President Ashraf Ghani and Chief Executive Abdullah Abdullah and “conveyed best wishes for 2017 and pledged to work together for peace in the region“. Ghafoor also said that “peace in both countries is in greater interest of the region“. “Afghan leadership invited COAS for a visit to Afghanistan,” he said in the tweet. It was, however, not known when General Bajwa will pay the visit, which would be his first since taking over the charge of Pakistan Army in November. Former president of the Pakistan Tehreek-i-Insaf (PTI) Javed Hashmi and PTI Chairman Imran Khan on Sunday traded barbs after Hashmi on a TV show accused the PTI chief of conspiring against the government during the 2014 sit-in because he had failed to win enough votes in the election. Imran, in response, accused the veteran politician of lying. "What response can I give to Hashmi's jhoot plus?" he asked. Javed Hashmi speaks to journalists in Multan. In a fiery diatribe against his old party, Hashmi made the allegation that, "Disgruntled elements in the army wanted to make Raheel Sharif unsuccessful at any cost, and through Imran Khan, they wanted to destroy the parliament." The former PTI leader even alleged that senior party members had not been convinced that there had been rigging on a large scale in Punjab during the 2014 election, despite the PTI's public stance during their historic sit-in the same year that large-scale election rigging had resulted in the party's loss. "The parliamentary leader was Shah Mahmood Qureshi. Presiding over the parliamentary leaders, he [had] said that there had been no rigging in Punjab. At most, in one or two constituencies," Hashmi claimed. Hashmi also accused Imran Khan of working in league with non-political forces working against the government, whom Hashmi referred to as 'script writers'. "Our script writers, whoever they were, wrote that Tahir-ul-Qadri would go to parliament and we [the PTI] would sit behind them. That was the main script," he claimed. "Imran said [former Chief Justice of Pakistan] Tasadduq Jillani would leave and then Nasir-ul-Mulk would [be sworn in]. He would [listen to us] and dissolve the assemblies. And after that, there would be elections in 90 days. During that time, he said, the Supreme Court will take over and then we [the PTI] will win," Hashmi alleged. "I said, Imran Khan, this is not how it happens. This sit-in will not be successful." "If you're not winning, don't destroy the entire country because you are frustrated," Hashmi said, recalling his conversation with the PTI chief. "I resigned because the Supreme Court's holidays were [suddenly] cancelled ... This seemed like a very big conspiracy to me," he said. "This seemed like the last item [on the script]. Because the generals had already told Imran Khan that Nawaz Sharif would not sign his resignation letter," Hashmi claimed. The veteran politician was referring to an incident in 1999, when General Mahmood had allegedly asked PM Nawaz Sharif to sign his resignation, but the premier chose not to sign the letter and told the general to kill him instead. "It was [Imran Khan's] second step to get everything done by the Supreme Court," Hashmi added, referring possibly to a move to force the prime minister's resignation through the Supreme Court. Hashmi also said he has always been against the PTI's strategy of sit-ins against the government. "It isn't the right strategy as it will only produce more struggle for the young political workers in your party," he said, adding that he had warned Imran his party workers would struggle on the streets for five years without any outcome. "Young people see things in black and white," he said. "I am more experienced than he is in politics. I know what I am saying." Imran responded to Hashmi's allegations by implying the veteran politician had lost his senses and was lying. "I think Javed Hashmi has reached the age where his mental state is not sound. What response can I give his madness, his jhoot plus?" he asked. Hashmi, responding to Imran Khan's jibe at his age, said, "Imran Khan is only a year and a half younger than I am ... A board should examine his mental state and mine too. Then it will be clear who is sharper." "If a mental health institution [tested us] and released a report, then the country would be free of Imran Khan ... They will be surprised to learn what a liar he is." "I think there should be a commission. There has been such a big fraud with the people. I guarantee you, he will not dare to sit and say otherwise in front of me." 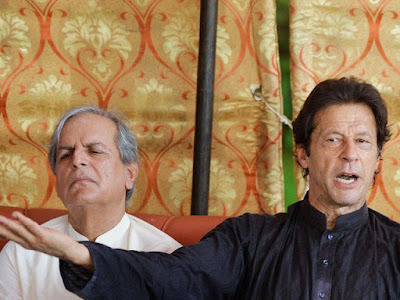 In 2014, Javed Hashmi had announced his resignation from the party presidency and its membership following his suspension after various allegations against Imran Khan which the party leadership said he had failed to explain. Hashmi had said that he could no longer continue his membership with a party 'conspiring' to dismantle democracy in Pakistan. In a memorable speech to a joint session of Parliament in 2014, the seasoned politician had claimed that a system existed in the country "to engineer [the] making and breaking of governments." He made the claims shortly after alleging that "a scripted plan to overthrow the government, using violent protests as a pretext" had influenced the 2014 sit-in against the government. ‘Panamagate’ refuses to die as the New Year has begun with new bench of the Supreme Court, which will start hearing petitions of Imran Khan and others from Wednesday. However, the new chief justice of Pakistan, Justice Saqib Nisar, has recused himself from the case. In all probability, the outcome of the case will dominate the emerging political scenario in 2017, which even otherwise is the electioneering year and we will witness lots of political happenings in the next 12 months. Both, the ruling Pakistan Muslim League-N (PML-N) and the main opposition party, Pakistan Tehreek-e-Insaf (PTI) are confident of winning the case, but it is good that both will accept the judgement, at least this is what they say right now. However, Imran Khan was disappointed when the previous bench, headed by former chief justice, Anwar Zaheer Jamali, adjourned the hearing till the first week of January, and said, the new bench would hear the petitions. When the senior most judge, Justice Saqib Nisar, took the oath, he ended all kinds of speculations over 'Panama case’, by keeping himself out of the bench. Whether elections will be held as per schedule in 2018 or earlier, the battle for Islamabad will be between the ruling PML-N and opposition PTI, the SC verdict on Panama will also determine the political career of both Prime Minister Nawaz Sharif, his daughter Maryam Nawaz and also of Imran Khan. Imran, who had lost his campaign over election rigging in 2013 after the Judicial Commission findings in 2015, wants to win 'Panama case’, as his chances of victory in the next general elections has a lot to do with the court verdict. Defeat in this case will further reduce his chances of winning the upcoming elections, but a victory could give a new lease of life to his party and he could go into polls with high spirits. On the other hand, stakes are also high in the other camp. There’s a lot more than the political career of PM Sharif which is under threat. Any adverse ruling would seriously dent his political legacy, as he often sees his daughter taking over power from him in future. But, the PML-N is ready to take the challenge, as the political battle between the PML and the PTI has now entered the crucial phase and political temperature has also soared. The kind of language being used by both sides during TV talk shows and in public meetings also reflects rising tensions. The battle for Punjab is the battle for Islamabad. The PML-N has been ruling the province since 1985 and has retired General Pervez Musharraf not staged a coup on Oct 12, 1999, Sharifs could have enjoyed an uninterrupted rule. Musharraf's era had created a split in the party and Chaudhrys of Gujrat and Moonis Elahi sided with the former president as an alley. However, for the first time, the Muslim League emerged as an opposition party, unlike in the past when leaguers had the reputation of changing loyalties. But many who changed their loyalties during Musharraf's period are now part of PML-N, something which went against Shairfs’ post-Musharraf politics. 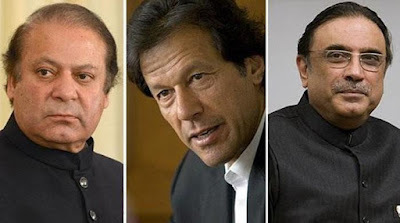 Imran Khan, who also supported Musharraf from 1999 to 2002, not only regretted his association with him but is also seriously challenging Sharifs’ political supremacy now. Thus, in 2017, the battlefield will be Lahore, which since 1970s had witnessed major political transformation. Once it was the stronghold of Pakistan People’s Party (PPP), under Zulfikar Ali Bhutto. It is the city where three major political parties, PPP, PML and PTI were founded. So, the city will witness one of the most crucial political battles in the next elections between the 'might of Sharifs’, and the rise of Imran. Some PML-N leaders conceded that for the first time the party faced serious political challenge in 2013 elections in Lahore, and the PTI did jolt the party. "In a way it was good for the party, as competition always helps you correct your mistakes, said a PML-N leader on condition of anonymity, as he criticised some of the party leaders. Now where would stand the other mainstream political parties in this 'two-party battle’? The PTI has practically replaced the PPP in Punjab, and the latter may witness some important party leaders leaving it before the elections. The decision of former president, Asif Ali Zardari, to take the centre-stage is something which had been opposed by many leaders of the PPP Punjab. They had even suggested to Mr Zardari to either stay away from the party or become the party's 'Rahbar’ (patron). The only option for the PPP is the post-election scenario, as they are unlikely to stage a big comeback in near future. In 2017, the party would try to regain some of its lost glory in southern Punjab and sweep in Sindh including improving its position in Karachi. While Imran Khan is confident that the PTI would retain its position in Khyber-Pakhtunkhwa, only an anti-PTI alliance comprising PML-N, JUI-F, ANP and PPP could pose challenge to the PTI-JI alliance. Therefore, we may see hectic political manoeuvring in 2017, in the post-Panama scenario. But, for the first time, Karachi will be most unpredictable in the aftermath of a split in the MQM, between the MQM-Pakistan, MQM-London and Pak Sarzameen Party (PSP). Will this split help any of the three or parties like PPP, JI and PTI, is yet to be seen. The year would determine the future political discourse for 2018. Thus, the visit of Imran Khan and his stay in the city for three days clearly showed that he sees the party chances and has decided to hold public meetings here in the next few months. While there are little chances of any grand opposition alliance before the election, the PPP is at crossroad right now. The only positive response which Mr Zardari has got was from the PML-Q’s Chaudhry Shujaat Hussain, who met him recently. But, his own party's position in Punjab and elsewhere is not much different from that of the PPP in Punjab. The Supreme Court, since the historic lawyer movement, had taken some historic decisions. It has done what the successive governments and Parliament have failed to do, like holding of local government elections or population census on time as a constitutional obligation. In fact, they failed and put the burden on the SC. While the mainstream opposition parties, led by Imran Khan, and even persons like Sirajul Haq, have stated that if they did not get justice from the SC, they would settle the issue on roads, i.e. agitation. For them, ‘justice’ means decision in their favour. Thus, in many ways we have not only tried to politicize the case but also the judiciary, something which could have negative repercussion on the independence of judiciary. The year 2017 will be the test of political maturity, independence of judiciary, autonomous Election Commission of Pakistan, constituted with consensus and the test of parliament to adopt consensus 'electoral reforms’, and implement it before the next polls.